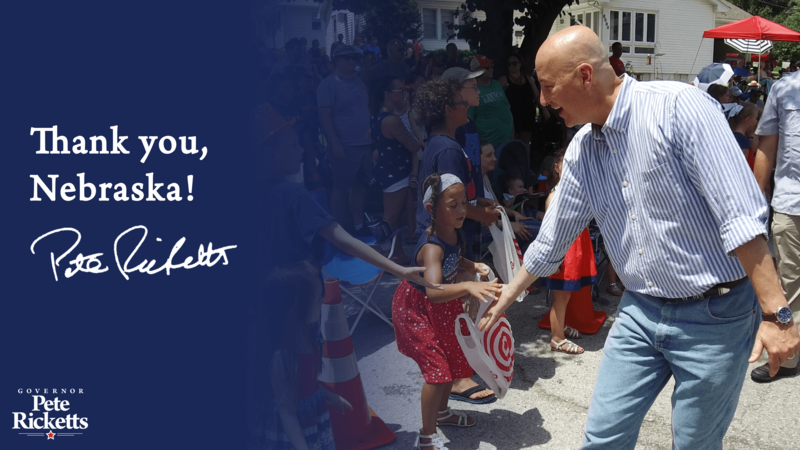 Sign up below to join Team Ricketts! By identifying a mission to create opportunity through more effective, more efficient, and more customer-focused state government, Governor Ricketts is on track to grow Nebraska. Governor Ricketts is working everyday to make government work for the people, eliminate unnecessary government regulations, balance the budget, and reduce the tax burden on hard-working Nebraskans.